Japan’s mobile carriers have come under government scrutiny for high phone bills that have helped bring years of enviable profit margins and given them a combined market value of more than $250 billion. One of the most senior figures in government raised the possibility of a push to lower mobile bills in a speech on Tuesday. In unusually direct remarks, Chief Cabinet Secretary Yoshihide Suga said mobile carriers had room to lower bills by 40 percent. The comments caused shares in the carriers to tumble, with two of the big three continuing to drop Wednesday after the trio lost a combined $9 billion in value the previous day. While consumers stand to win cheaper services, up-front costs for premium smartphones could rise if carriers start selling them separately from service plans. How hard would a 40 percent cut in bills hit mobile operators? 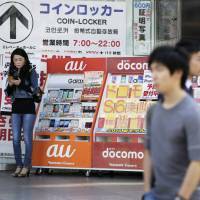 Three carriers — NTT Docomo Inc., KDDI Corp., and SoftBank Group Corp. — dominate Japan’s market. 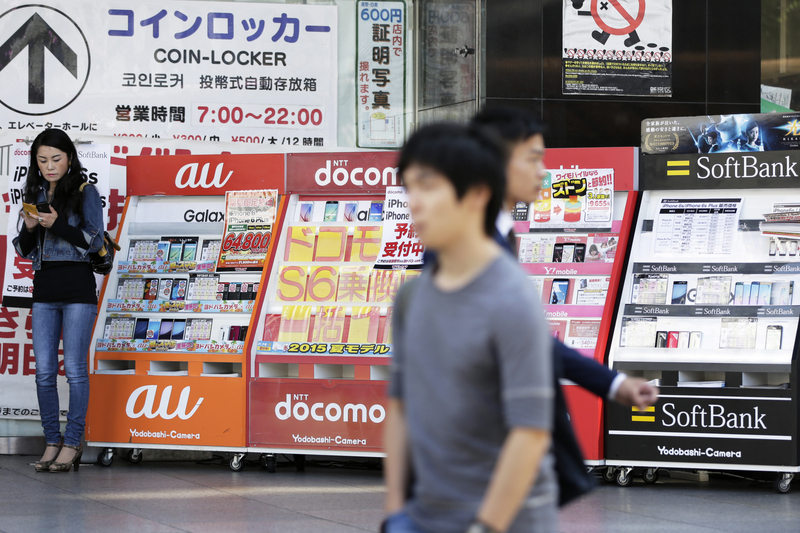 Docomo, 68 percent owned by the former government telecommunications monopoly, said such cuts would have a “big impact” on its business. “We are taking the chief Cabinet secretary’s comments seriously,” Tsutomu Taguchi, who heads Docomo’s 5G promotion office, told reporters in Tokyo. Market saturation means the carriers would struggle to offset lower prices by adding new users. Japan has about 1.3 subscriptions for every person. The three carriers have boosted sales primarily by making it easy for customers to buy the newest smartphones, in turn enticing them to consume more data on games, social media and streaming video. “A 40 percent cut in mobile bills would severely damage wireless carriers’ business,” Shigetoshi Kamada, general manager at Tachibana Securities Inc., said Wednesday. What’s the outlook and time frame for achieving such a cut? Past pushes for rate cuts may be one indicator. This isn’t the first time the government has attacked mobile bills. Government figures suggest a user in Tokyo would pay about a third more than one in London for a smartphone with a 5GB data plan, though the carriers have disputed these numbers. A telecommunications ministry panel plans to meet Thursday in Tokyo to discuss the call for cheaper services. What leverage does the government have to achieve price cuts? Japanese regulators have no mechanism to directly set prices, though the government could help add pressure by making it easier for new competitors to enter the market. In a surprise move, e-commerce operator Rakuten Inc. last year announced plans to become the country’s fourth major wireless carrier and was swiftly granted a license to start operations in 2019. The government has also been pushing to boost competition by making it harder for the big three to lure new users by offering the latest phones at little or no upfront cost. Officials have also pushed to end SIM locking, a practice by which carriers lock their handsets so they can be used only on their network. How could the push affect smartphone makers such as Apple? Premium smartphone makers such as Apple Inc. and Samsung Electronics Co. Ltd. have benefited from the big three carriers’ focus on making it easier for consumers to get the latest smartphones. If a price war were to erupt between the carriers, they’d be left with less to spend on offering premium smartphones with longer-term contracts, which could undermine demand for devices such as the iPhone and Samsung’s Galaxy S series. “Not only Apple’s smartphone sales will be impacted, but we believe sales of two other smartphone makers in Japan will be adversely impacted — Sony and Sharp,” said Atul Goyal, an analyst at Jefferies Group.